Hello Tour De Coop 2015 Organizers and Coopsters! Sorry for moving the pages around.. the original URL for this page was printed in wide distribution newspaper by accident as the primary website address for the event so I needed to move it to another more hidden address! NOTE: If you are considering having your coop on the 2015 tour, you must enter it here into the document or have someone enter for you! Deciding which coops will be on the tour often depends on if there other coops in the same general region to help create bikable coop loops so please recruit several coops around you! This year (2015) we will be translating a majority of the website page into Spanish to encourage everyone in the bay area to participate in healthy, backyard urban farming. If interested in helping, please contact Scott or svtourdecoop@gmail.com to be involved in that group. I’ve created a website page describing the general translation process. 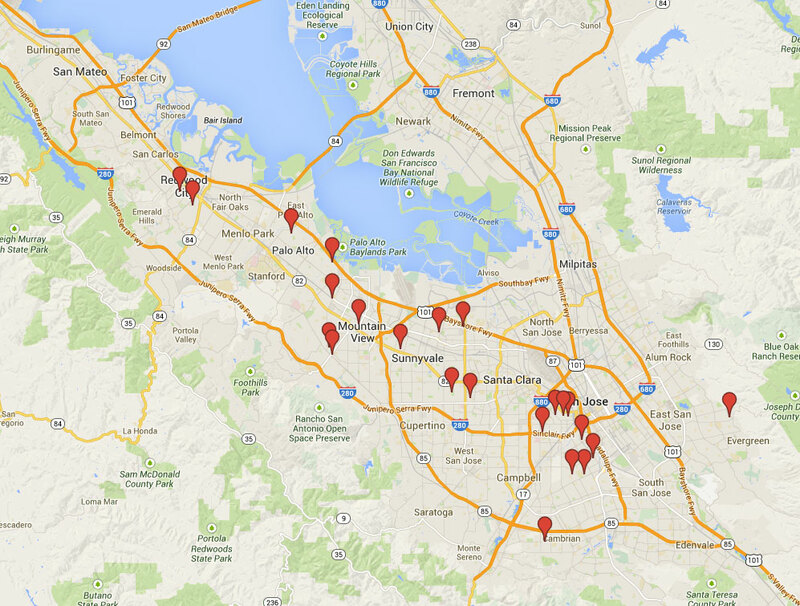 Google Map of coop stops as of September 8, 2015 – This google base is the map we will use for planning route purposes. It is not meant to be shared outside of the planning/volunteering committees. On Wednesday, we will send out to those who have registered for the tour an email with this link. You can click on this now to see what the registered tourists will get. Please do not share this link so we can get an accurate count of folks attending the event through eventbrite. Here is a general time line of coop tour planning events to pull the event together by the event date of September 19, 2015. January – August 2015 – Solicit coops for submission and get folks to register to the tour with flyers, posters, postcards, articles, press releases, etc.